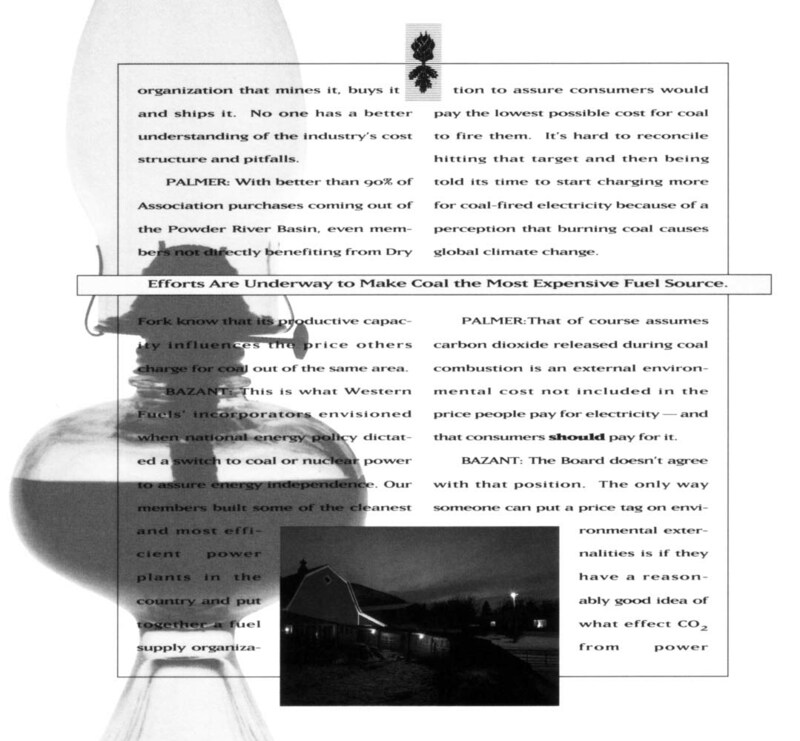 Why Say Sinister Plans are in a Coal Association’s Annual Report… when they aren’t? 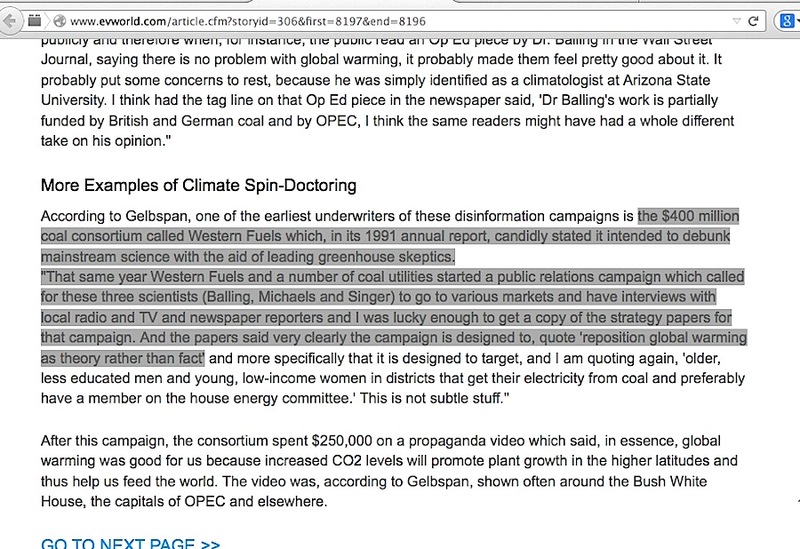 To recap: Ross Gelbspan accuses a prominent skeptic scientist of being involved in a global warming ‘misinformation campaign’, and he claims a key ‘leaked memo’ phrase he supposedly found is the smoking gun evidence for his overall accusation against skeptic scientists. But he swaps out the scientist’s name without explanation and the sinister top-down industry directive Gelbspan warns us about is not what it is portrayed to be. On top of all that, there is the small problem of Gelbspan’s “Pulitzer winner” designation. 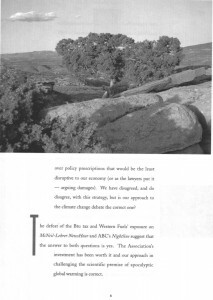 So are these problems intensified if Gelbspan claims that the Western Fuels Association’s 1991 annual report declared it was going to “attack mainstream science” in regard to global warming, but no such words or anything remotely similar is actually in that report? 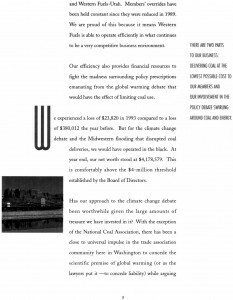 There’s a large coal operation called Western Fuels, it’s a $400 million coal operation, in their 1991 annual report, they were very candid, they said “We want to attack mainstream science”…. 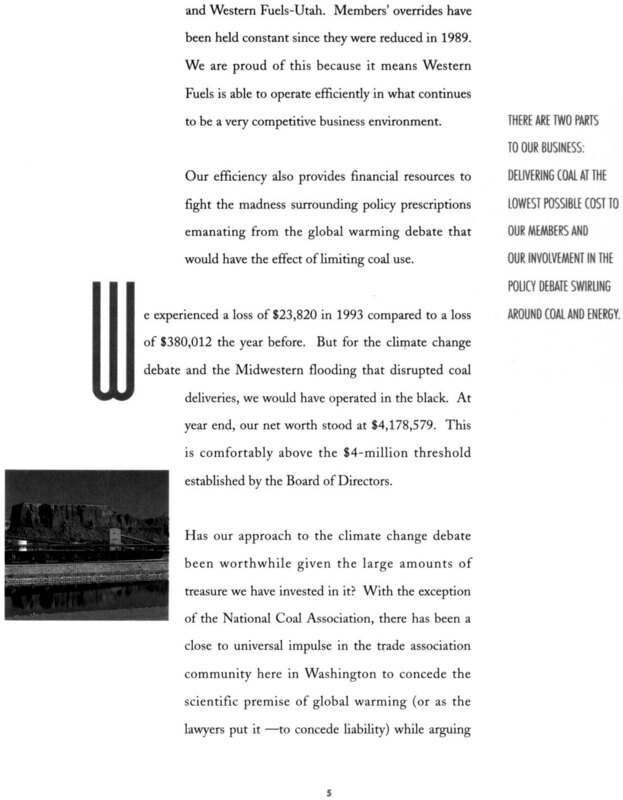 In 1991, Western Fuels, a $400-million coal consortium, declared in its annual report it was launching a direct attack on mainstream science and enlisting several scientists who are skeptical about climate change—specifically Drs. Robert Balling, Pat Michaels and S. Fred Singer. He cited the 1991 annual report of a coal operation called Western Fuels, which said that it would attack the information provided by mainstream science. 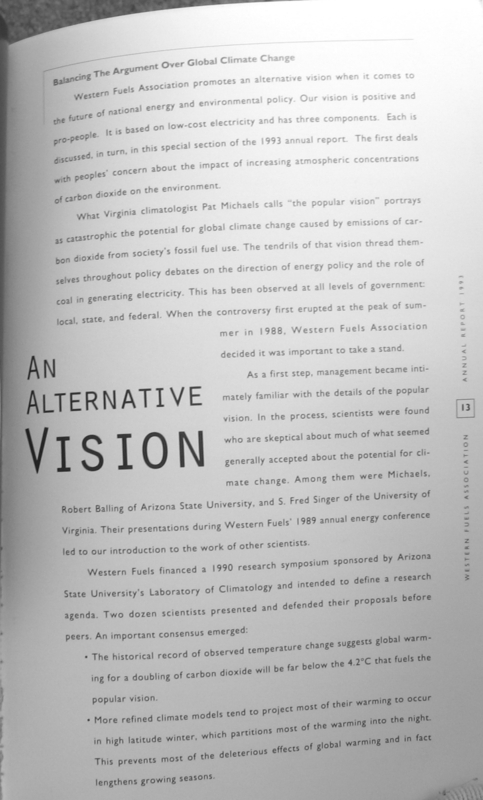 In 1991, Western Fuels, a $400-million coal consortium, declared in its annual report it was launching a direct attack on mainstream science and enlisting several scientists who are skeptical about climate change — specifically Drs. Robert Balling, Pat Michaels and S. Fred Singer. 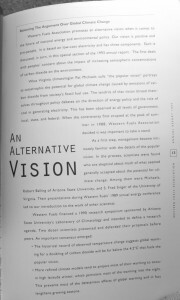 An especially aggressive industry player, Western Fuels was quite candid about its strategy in two annual reports: “[T]here has been a close to universal impulse in the trade association community here in Washington to concede the scientific premise of global warming . . . while arguing over policy prescriptions that would be the least disruptive to our economy. . . . We have disagreed, and do disagree, with this strategy.” “When [the climate change] controversy first erupted . . . scientists were found who are skeptical about much of what seemed generally accepted about the potential for climate change.” Among them were Michaels, Balling, and S. Fred Singer. The latter statement about the three scientists comes from the 1993 report’s page 13, just above the middle of its page. 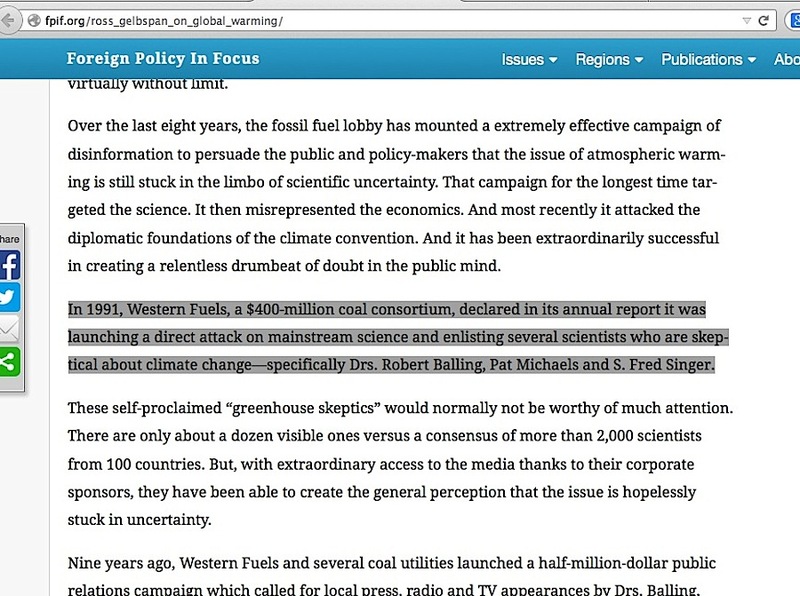 Notice its headline at the top says “Balancing The Argument Over Climate Change“, not ‘attacking mainstream science’. 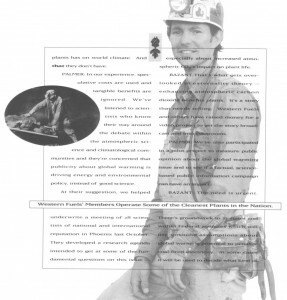 See the problem with Gelbspan’s EV World, U of Waterloo and HeatIsOnline.org statements? 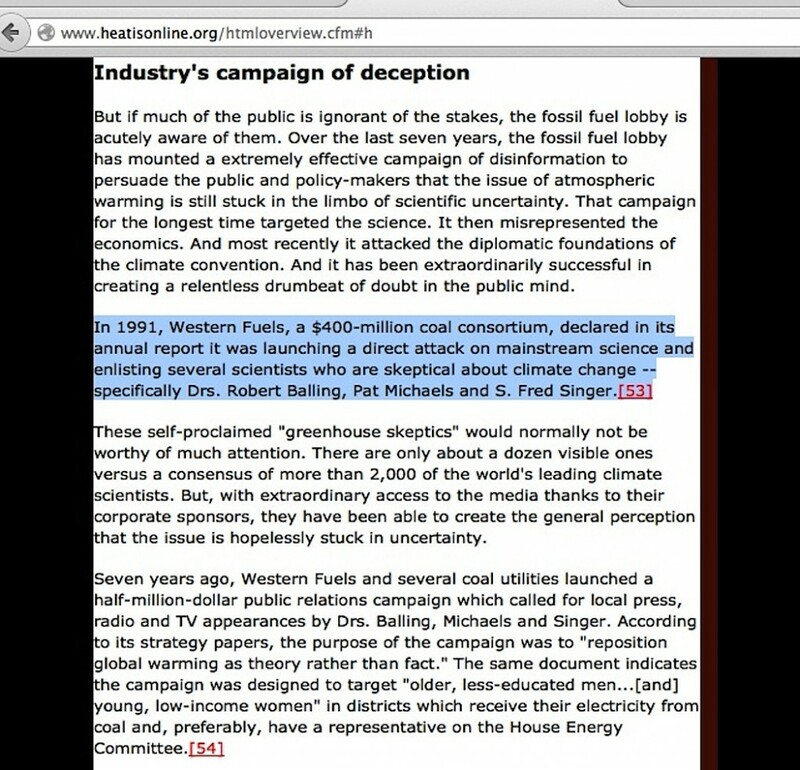 All of those imply Dr S Fred Singer was directly involved in a lengthy, nefarious countrywide public relations effort that Western Fuels supposedly plotted in 1991, but as I told in detail in my first blog piece here, there is no evidence to be seen to prove Dr Singer had any involvement in the 1991 campaign. The most that can be taken from the ’93 report is Western Fuels decided to become more familiar with the issue in 1989, they found Dr Singer in their research, and he offered some information that led them to other skeptic scientists. We’ve listened to scientists who know their way around the debate within the atmospheric science and climatological communities and they’re concerned that publicity about global warming is driving energy and environmental policy instead of good science. … We’ve also participated in a pilot project to measure public opinion about the global warming issue and to see if a factual, science-based public information campaign can have an impact. … There’s groundwork in 17 states and within Federal agencies which will use unsound assumptions about global warming potential to penalize coal-fired electricity. 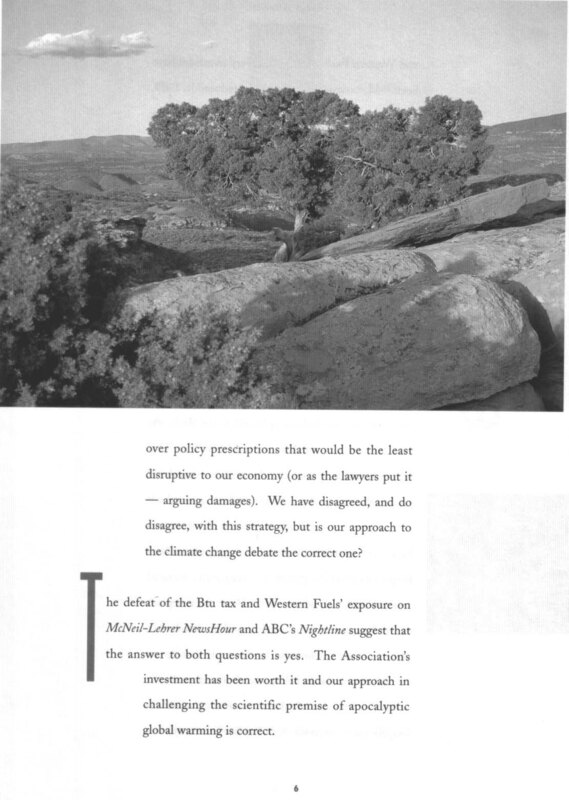 In 1989 the Board, for the first time in 16 years, amended the Association’s goals and objectives to highlight a growing concern about carbon taxes and other fees which would increase energy costs to consumers – a concern as important to us as are environmental sensitivity and competition among energy suppliers. The Board foresaw the huge potential impact of a lopsided global warming debate on coal-based utilities. 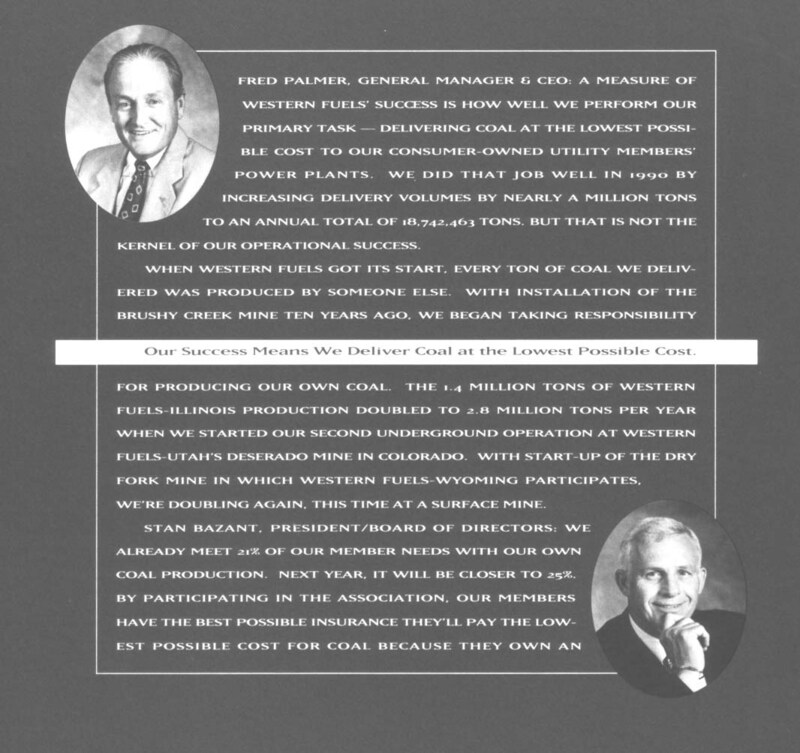 … Western Fuels has no choice but to enter the fray. We can no longer have our costs driven by perception. 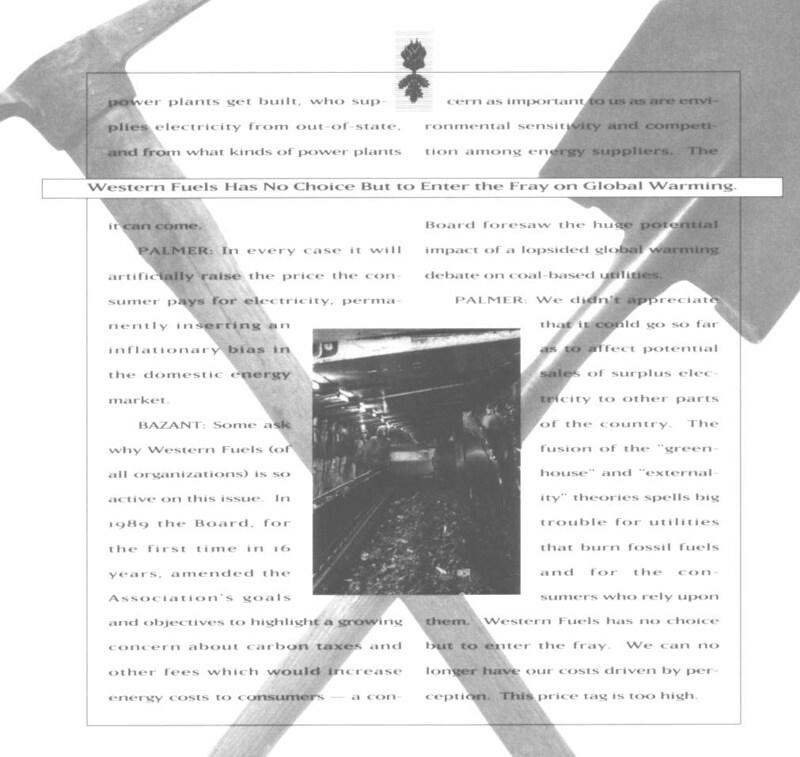 Nothing in the ’91 report implies a fight against established and settled mainstream science. Instead, couldn’t it be said the Western Fuels Association was taking a stand against an ostensibly political issue pushed in the media as settled science egregiously devoid of input from skeptic scientists? So why would Ross Gelbspan repeatedly use the words ‘attacking mainstream science’ when nothing of the sort is found in the WFA report he claims ‘candidly’ says that? And how much higher do the faults in his overall accusation against skeptics have to pile up before the whole thing collapses? Stay tuned here. This is not the last of Gelbspan’s problems by a long shot. 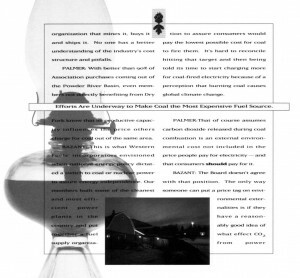 This entry was posted in Narrative derailment, Western Fuels Association and tagged attacking mainstream science by Russell Cook. Bookmark the permalink.